From the top of the Hyatt on Lady Bird Lake, this is the view of downtown Austin. 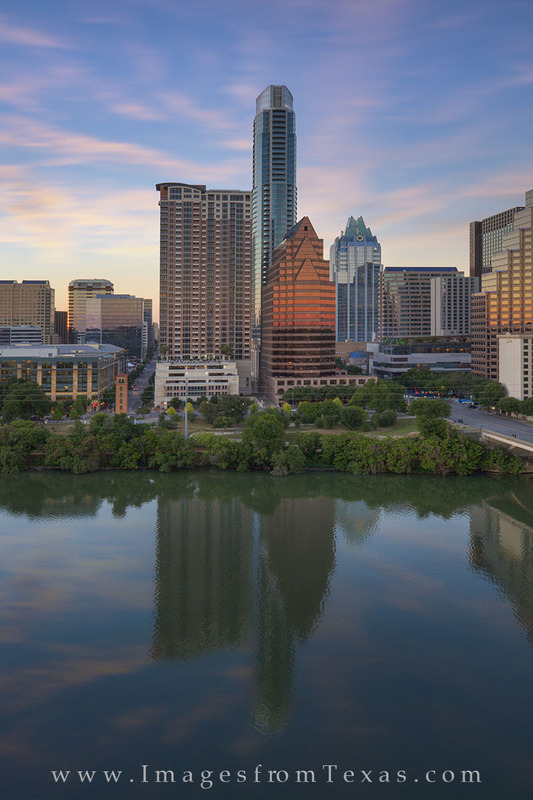 The most prominent high rises in this skyline image are the Austonian, the tallest at 683 feet, The Ashton at 416 feet, the Frost Tower at 515 feet, and the 100 Congress Building at 328 feet. This evening the river was one of the calmest I’ve seen, and the smooth water allowed for great reflections. Photo © copyright by Rob Greebon.